Carling Technologies C-Series circuit breakers are a heavy duty version of the renown A-Series. 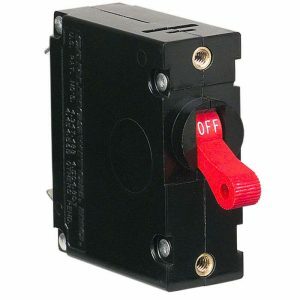 Ideal for both switchboard applications and individual branch protection the C-Series is used extensively in marine and transport applications as well as affiliated markets where performance is paramount, particularly in high ambient temperature environments. 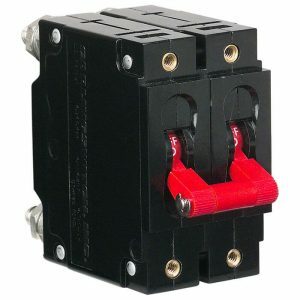 Share the post "C-Series Magnetic Circuit Breaker 2-Pole 100 Amps"
Carling Technologies C-Series circuit breakers are a heavy duty version of the renown A-Series. 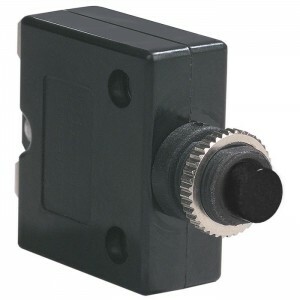 Ideal for both switchboard applications and individual branch protection the C-Series is used extensively in marine and transport applications as well as affiliated markets where performance is paramount, particularly in high ambient temperature environments. The standard range includes both single and double pole versions, with red handle actuators, threaded stud terminals and rear panel mount fitment. A popular range of current ratings are readily available.